Thomaston Castle (see MacBean) overlooked The River Doon. 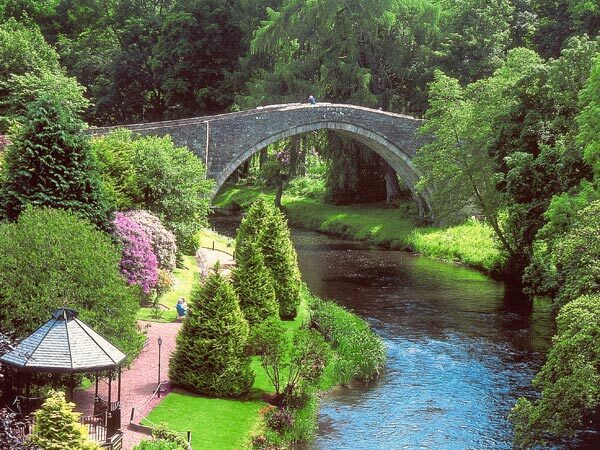 Below: the famous Brig o'Doon (Bridge over the River Doon). 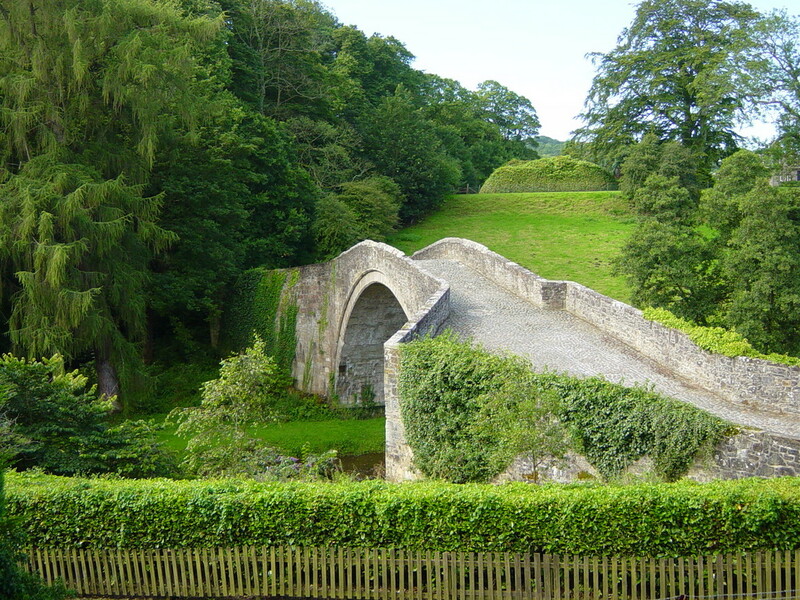 Brig o'Doon is featured in many of Robert Burns' writings, as well as being the inspiration for the fantasy Broadway musical Brigadoon. Click to hear Judy Garland's Almost Like Being in Love. From Brigadoon.